Designer and retailer Zola Keller is a fashion icon. Zola is known for her special occasion gowns for brides, mothers-of-the-bride/ groom, mothers-of-the bar and bat mitzvah, day to evening suits either custom or off the rack and those fabulous evening gowns seen at social events throughout Florida. Zola has been a well-known authority on beauty pageants for over two decades. She has dressed everyone from Miss USA, to Miss Universe, and Miss America. Women entering pageants search her out for advice and she is quoted in several books on the subject. Zola is active in her community as a high-level fundraiser for dozens of charities. She produces upscale fashion shows, including “Women of the Year" events for 700-member audiences. Her fast-paced runway show has been the centerpiece of the 1,000 Plus Club's annual luncheon, which raised over $100,000 for the American Cancer Society. Buying clothes at Zola Keller offers more than the traditional “off the rack” selections typical of many women's stores. Thanks to long-term relationships with designers and manufacturers, Zola presents women from sizes 2 to 24 with the opportunity to create their own gowns. In most cases, there is no difference in price between in-stock and special orders. She also shops at various markets throughout the year, which translates into a constantly changing array of everything from accessories to one-of-a-kind fashion finds. “This service allows women to select colors and style nuances that best suit their taste and fashion sensibilities,” Zola said. Made-to-measure is also popular with women who need special sizes, styles or shapes. More than most retailers, Zola Keller hosts numerous trunk shows throughout the year. These shows give women a chance to discover a wide variety of designers who have their entire collections on display. Garments are available to purchase before they are unveiled to retailers, which allows women to know that they are the first to special-order a style for upcoming occasions. Keeping up with the latest in web advertising and e-commerce, Zola has designed a website that offers visitors a chance to peruse an extensive collection of dresses for every occasion as well as offering direct links to her designers. Because shopping for a special occasion gown on the Internet is not the same as coming to Zola's store, the "Queen of Beads” is almost always available by phone for personal advice and guidance. The reason Zola Keller was voted #1 Bridal Salon in South Florida by the affiliates of ABC's Channel 10 poll, is because of her ability to search out magnificent bridal gowns starting at $1,200 to $10,000 that can all be customized to the brides desire. We also carry one of a kind veils and accessories to pair perfectly with your gown. Zola Keller produces fashion shows for charities using top models from the Miami / Fort Lauderdale area and other special events throughout the year. Our store is located on Fort Lauderdale 's world famous Las Olas Boulevard. 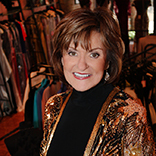 Our inventory includes distinguished high-couture fashion designers. We have seamstresses on the premises to complete any alterations needed on your purchase, whether you are buying off the rack or ordering a custom piece. Zola Keller's fashion shows and special events feature fashions provided by our designers, either brought in specially for the event or from our tremendous inventory. Zola Keller will coordinate the entire fashion show- from contracting the sound, lighting and runway equipment down to the final presentation. Attendees love our events and have come to know them as the epitome of elegant sophistication.